Each year, around 14,000 individuals pursue hunter education in Georgia. With over 500 active instructors in the state, you are part of a large team of dedicated volunteers teaching safe and responsible hunting. Volunteer Sign Up And Instructor Course: Sign up to become a volunteer. After receiving confirmation that we have your completed volunteer application, a member of our staff will contact you to provide you information on the next step—the online hunter education instructor course. Instructor candidates will have one month to complete the 8-hour online hunter education instructors’ course. The online instructor course provides an overview of the Hunter Education Program, as well as providing instruction on public speaking and best teaching practices.After completing the course, instructor candidates must send their course completion certificate to Jennifer Pittman (jennifer.pittman@dnr.ga.gov). Basic Hunter Education Course: After completing the online hunter education instructors’ training, we ask that potential instructors complete a basic hunter education course. Candidates will take the course online and complete the end of course test and a course evaluation. This process provides candidates an opportunity to experience one of the courses their students will be taking and ensure that hunter education standards are understood. Candidates have one month to complete the 8-hour basic hunter education course and must send the test completion paperwork and course evaluation to Jennifer Pittman (jennifer.pittman@dnr.ga.gov). Hunter Education Academy: The final step in becoming a certified hunter education instructor is attending a Hunter Education Academy. These are offered twice a year (second weekend in April and second weekend in August). Candidates must attend within 10 months of completing Step 2. This ensures certifications are timely and that new information is sent to candidates in an efficient manner. During the Academy, potential instructors will review the Hunter Education Program administrative procedures, participate in a live fire exercise and receive hands-on tree stand safety instruction. Candidates will also be asked to make a presentation to the group regarding hunter safety. Upon successful completion of a written test, candidates will receive their instructor certification. 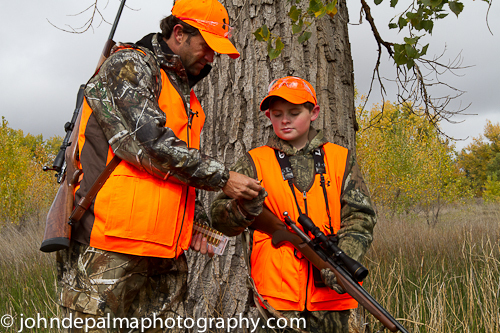 Your time and dedication as a Hunter Education Instructor is vital to ensuring that new hunters continue to learn about this time-honored tradition. Following is information that you may find helpful as you conduct classes.